The main research areas of Dr. Liao are organic synthesis and photochemistry. The major emphases and efforts of Dr. Liao�s research group are organic synthesis and organic photochemistry. The studies of photochemisstry include the investigation of the structural effects in the photorearrangements of heteroaromatic-ring-fused barrelenes, the photochemical reactions of bicyclo[2.2.2]octenones, and the synthetic applications of oxa-di-?-methane photorearrangements and intramolecular enone-olefine photocycloadditions. The synthetic studies mainly involve the synthetic applications of masked benzoquinones, including short and efficient entries to stereoselective syntheses of polysubstituted cyclohexanes, highly oxygenated polysubstituted cis-decalins and quinanes. Dr. Liao and his research team are also interested in the total syntheses of natural products including iridoids, terpenoids, alkaloids and biologically active compounds. 1.Lin KC, Chittimalla SK, Peddinti RK and Liao CC. Efficient Coupling of Allylstannane with Diels-Alder Cycloadducts Derived from4-Bromo-substituted Masked o-Benzoqinones: Synthesis of 5-allyl-oxatricyclo[m.3.1.0]decenones and Undecenones. J. Chin. Chem. Soc. (Taipei) ,51:1037-1042, 2004. 2.Chen CH, Peddinti RK, Rao NSK and Liao CC. Dual Behavior of Masked o-Benzoquinones in Intermolecular Diels-Alder Reactions with Acyclic Dienes: A Rapid Entry to Polyfunctionalized Bicyclo[2.2.2]oct-5-en-2-ones and cis-Decalins. J. Org. Chem., 69: 5365-5373, 2004. 3.Lin YS, Chang SY, Yang MS, Rao CP, Peddinti RK, Tsai YF and Liao CC. Diels-Alder Reactions of 4-Triflyloxy-2,6,6-trimethyl-2,4- cyclohexadienone. An Expedient Methodology for the Synthesis of Bicyclo[2.2.2]oct-5-en-2-ones and Bicyclo[2.2.2]octa-5,7-dien-2-ones. J. Org. Chem., 69:447-458, 2004. 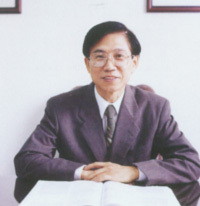 5.Hsu DH and Liao CC. Total Syntheses of Sesterpenic Acids: Refuted (�)-Bilosespenes A and B. Org. Lett., 5:4741-4743, 2003. 6.Lin SY, Hsieh HP, Peddinti RK and Liao CC. Substituent Effects on Di-p-methane ans Aza-di-p-methane Rearrangements of Dibenzo[f,h]quinoxalino-barrelenes. Tetrahedron Lett,. 44: 8761-8764, 2003. 7.Yang MS, Lu SS, Rao CP, Tsai YF and Liao CC. Photochemistry of Bicyclo[2.2.2]oct-7-ene-2,5-diones and the Corresponding 5-Hydroxyimino and 5-Methylene Derivatives. J. Org. Chem., 68: 6543-6553, 2003.